Dragon Time - On Wednesday we will begin a school wide dragon time. Dragon time is a time of individualized instruction, both intervention and enrichment. Dragon Time will take place from 8:20 - 8:50 each morning. It is very important that your child is on time to school so they receive this important instruction. 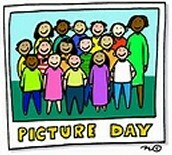 Your child may be with a different First Grade teacher during this time. Reader's Workshop - We have been working on reading strategies and this week will be focused on partner work and learning how to implement our strategies while reading independently. Writer's Workshop- This week we will begin publishing our 'How-To' stories. Children will use multi-media to write their own review! Math Workshop - We have started a new unit focused on Problem Solving. This week we are working on multiple problem solving strategies for solving addition. Science - We will have a ball learning about the Moon. 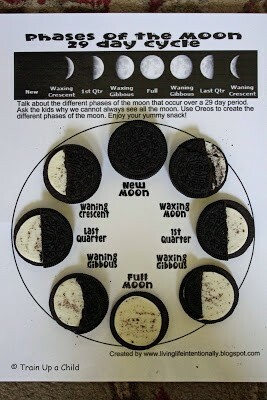 We will define rotate and revolve as we learn about the phases of the moon and the seasons. 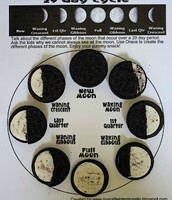 This week we will be studying the moon and it's phases. On Friday I would like to do this fun activity. If you would be willing to send in a pack of Oreos please let me know! If you have not yet signed up for a conference, please click here.